The very tall, skeletal and formidable Henry Tonks (1862-1937), surgeon and anatomist, became one of the most decisive, influential, scathing and inspirational teachers in the history of visual education. 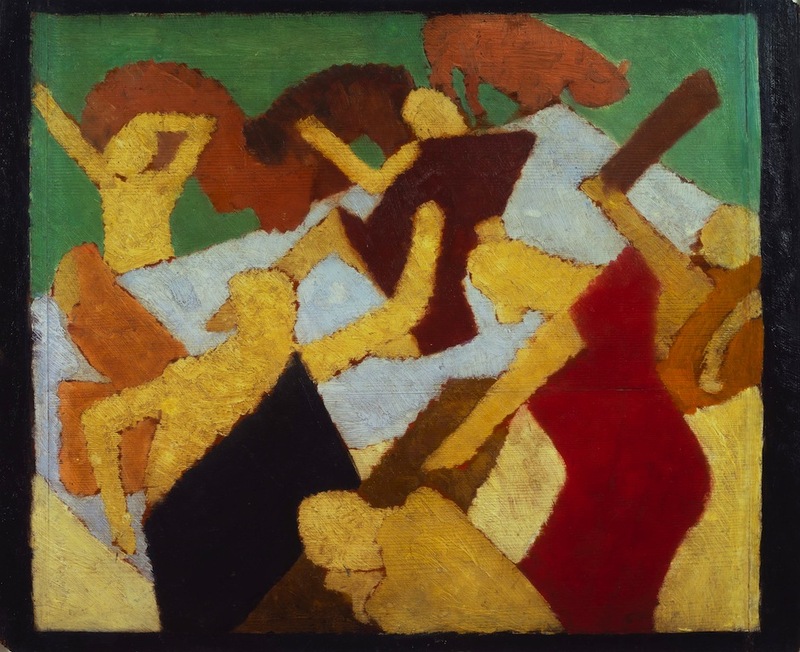 At the Slade, in his second career as artist and teacher, he presided over several generations of London-based artists who formed the bedrock of modernism, from the absorption of Impressionism to the various isms of the turn of the last century. He referred to this cohort of his students, here being celebrated, as “a crisis of brilliance”. 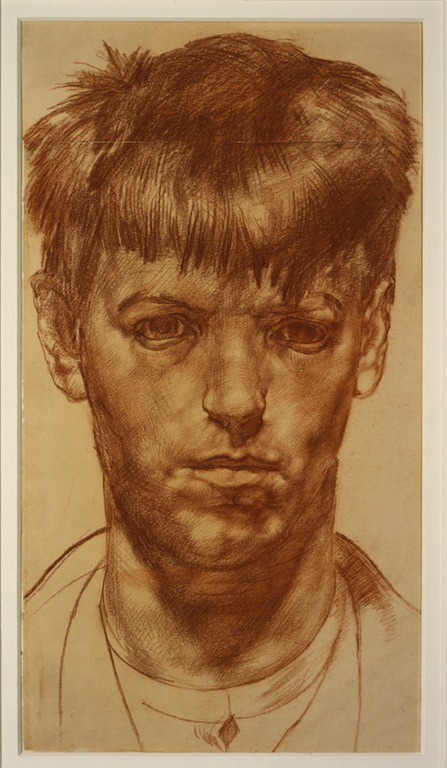 It is the generation who first gaily embraced the bohemian freedoms of art school and then were tempered by the horrors of World War I (Tonks himself served not only as a war artist but as a doctor) that is under examination in this truly revelatory exhibition. 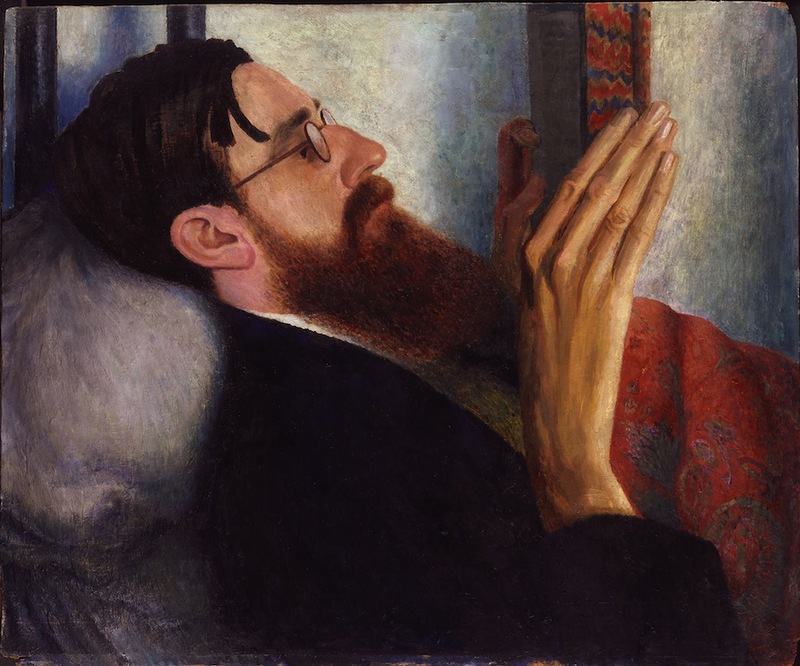 Several have only relatively recently been revalued – CRW Nevinson and David Bomberg, for example – while others have been studied, shown, admired and honoured for several generations, notably the eccentric Stanley Spencer. 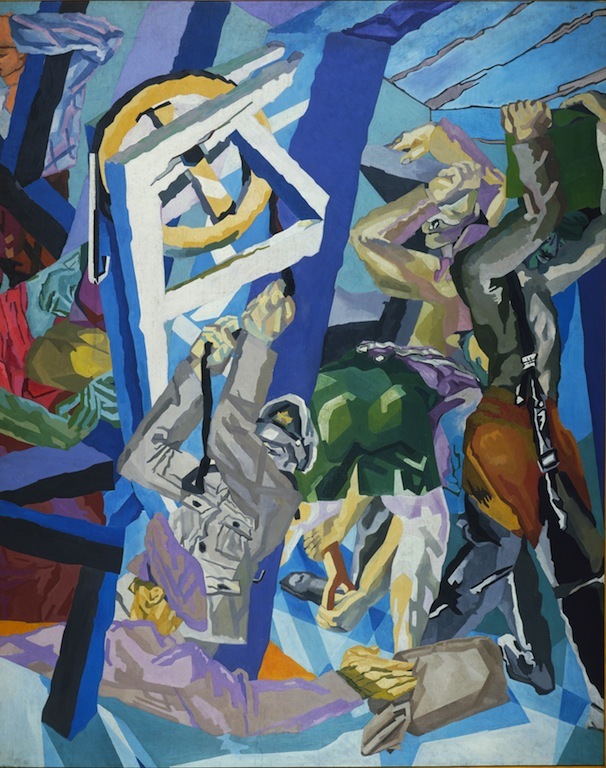 The exhibition, over 70 paintings and drawings, moves from early student days to the war, from emerging talent to a few works so memorable, so fervent, so innovative, that they border on genius. 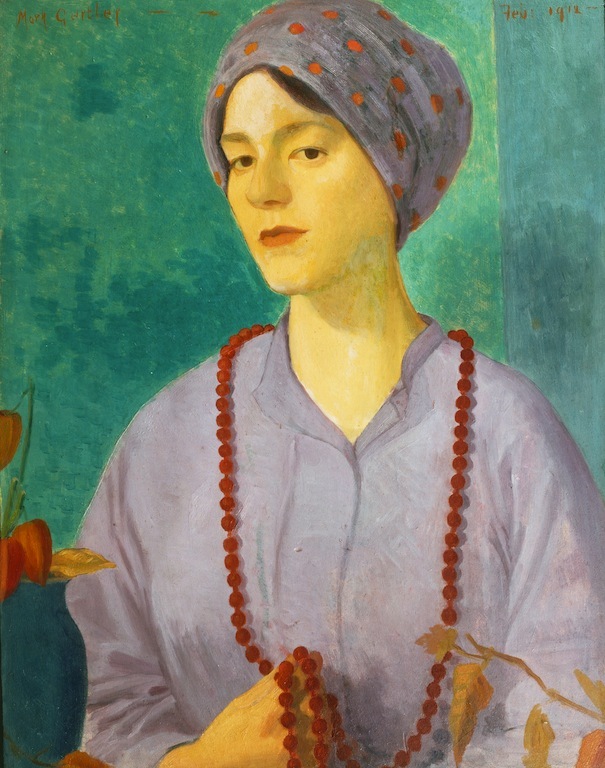 Throughout there are a series of dignified and touching self-portraits: the unsmiling grave faces of the artists look out with a kind of guileless innocence before harsh realities intrude. They were to make their way through a labyrinth of intense emotional attachments and an indifferent or contemptuous critical world, but make it most of them did, at least with the hindsight of a century’s perspective. 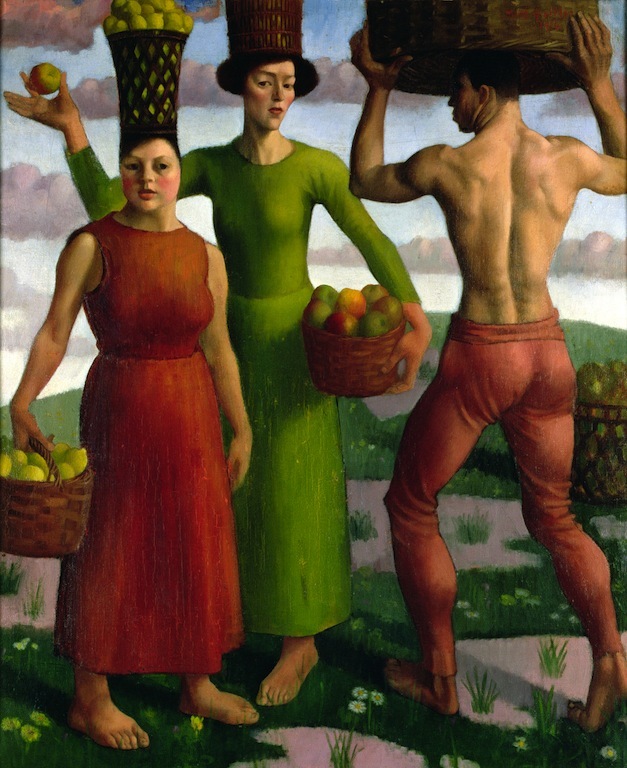 Many of the works, from private collections or not normally on public view, are a surprise. 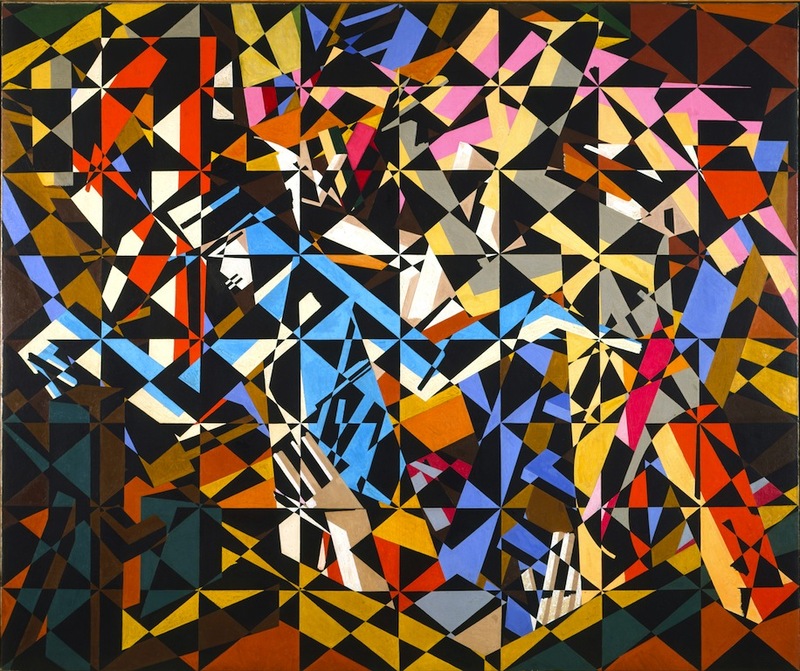 One such is another huge Bomberg, Sappers at Work, which was rejected by the Canadian War Memorial and here shown to be replete with an awesome energy, unusual verve expressed in unexpected colour and fragmented form, the whole communicating a vital energy directed to some communal and significant purpose. 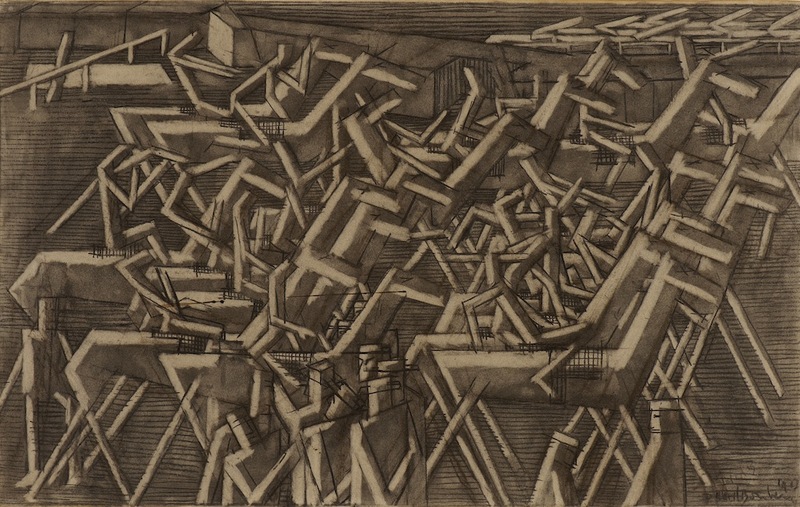 Paul Nash once said of his own war paintings, that they possess a “towering audacity”. In Void (pictured right) we find that Expressionism meets Futurism and even anticipates Surrealism in the combination of recognizable elements, the twisted metal of weapons tumbled together in a scene that also defies reality, but gives form to the horrors and terrors of the leftovers of the newly mechanized aggression of conflict. Meanwhile, Nevinson’s Dance Hall Scene is a riot of colour, of human forms in an arrested choreography. And Le Vieux Port shows, in a kind of cubo-realism, a stylized arrival of a ship into harbour, complete with manikin passengers, set against a towering heap of dockside buildings. Two extraordinary Nevinsons show his hard-won ability to harness style to fine tune exactly what he wanted to show, to convincingly portray a spectrum of human experience. La Patrie is truly shocking: Nevinson was portraying what he found in an old railway shed packed with 3,000 dead, dying or wounded soldiers, as he indicated an inconceivable nightmare. Although the figures are shrouded you can almost smell the suppurating wounds. 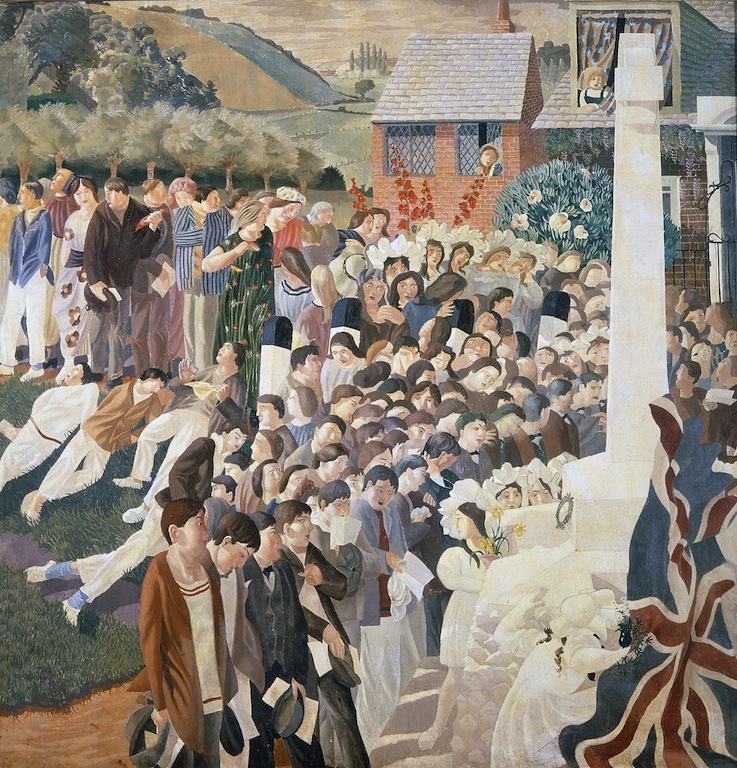 Some bucolic scenes come from Stanley Spencer, from apple gatherers to the gathering at a war memorial in Berkshire, both freighted with the symbolic meaning he so characteristically gave to daily life. 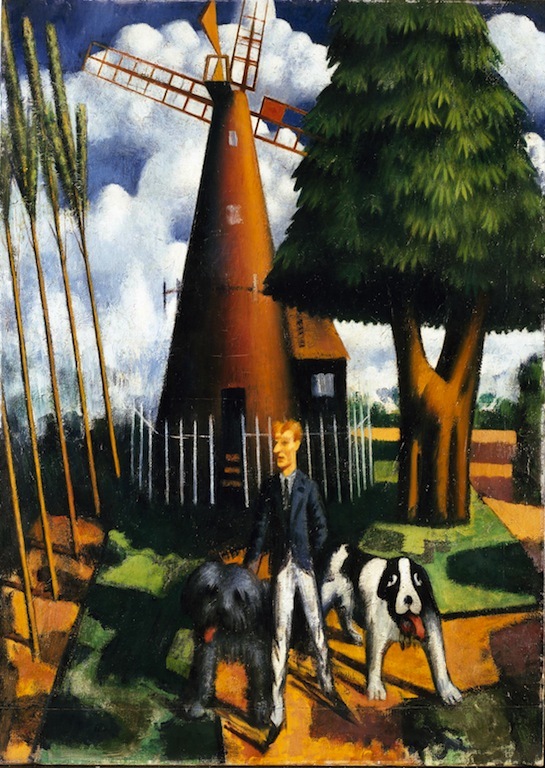 And then there are Dora Carrington’s awkward but heartfelt paintings of the countryside. The anthology shows us the chrysalis of student life, and the bursting forth of talent, roughly disciplined and nurtured into a hard won maturity.